One of my spots went dry so I decided to try a mid-morning hunt and didn't get on stand till 9:30am. At 10am deer went wild!!!! I got this fine doe just 10 yds away and almost connected on a second deer. Video to come soon!! That's a good one, congrats. Congrats, on a fine doe! Congrats! Be some fine grub! she is a big doe, good shootin! cant wait for the vid. Nice job. Were you in a blind? Looks thick. 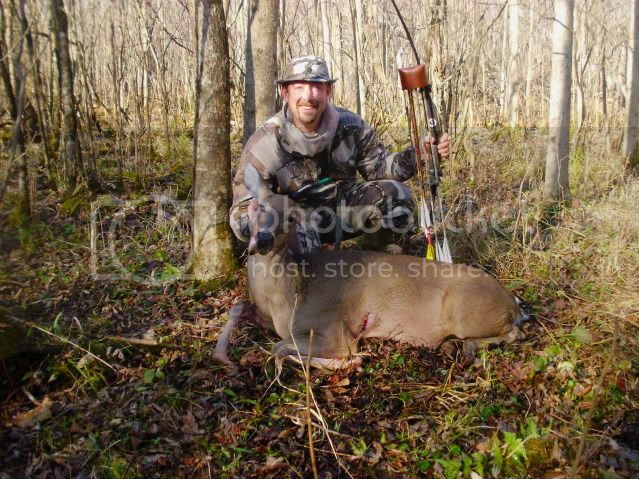 Nice doe and nice shot!